You cannot Special Summon monsters, except Dragon monsters. 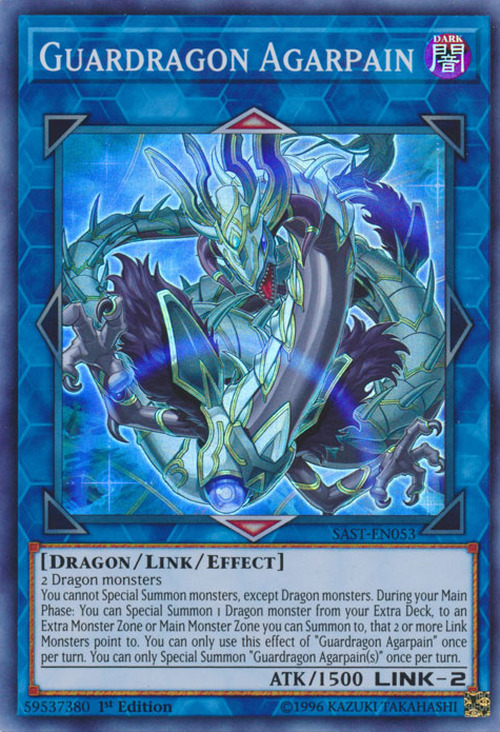 During your Main Phase: You can Special Summon 1 Dragon monster from your Extra Deck, to an Extra Monster Zone or Main Monster Zone you can Summon to, that 2 or more Link Monsters point to. You can only use this effect of “Guardragon Agarpain” once per turn. You can only Special Summon “Guardragon Agarpain(s)” once per turn. This monster appears in the card artwork of Orcustrated Release.